Mardi Gras at is a celebration of epic proportions every year in New Orleans. Tons of beads, and a huge nonstop party make it a must see destination yearly for millions of tourists, college students and fun seekers. While Mardi Gras at Universal Orlando celebrates that same spirit, it does it in a more “family friendly” manner. Universal even offers some great activities for kids both in the park and before you even enter the gates! 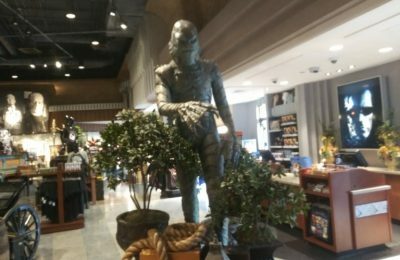 Universal pulls out all the stops when it comes to making kids feel like part of the celebration. Mardi Gras in Kidzone-In past years kids could celebrate a Mardi Gras all their own. Several times daily characters such as Shaggy, Scooby, Woody Woodpecker, Curious George and others don Mardi Gras costumes and put on a show, complete with beads! While it’s unknown if the show will return this year, it’s been there for the past few years, so it’s pretty likely. Kid friendly characters-While the characters in the Mardi Gras parade are definite “eye candy” for adults, they are very friendly towards the smaller crowd. Characters will stop to pose with kids, challenge them to contests and of course reward them with beads! 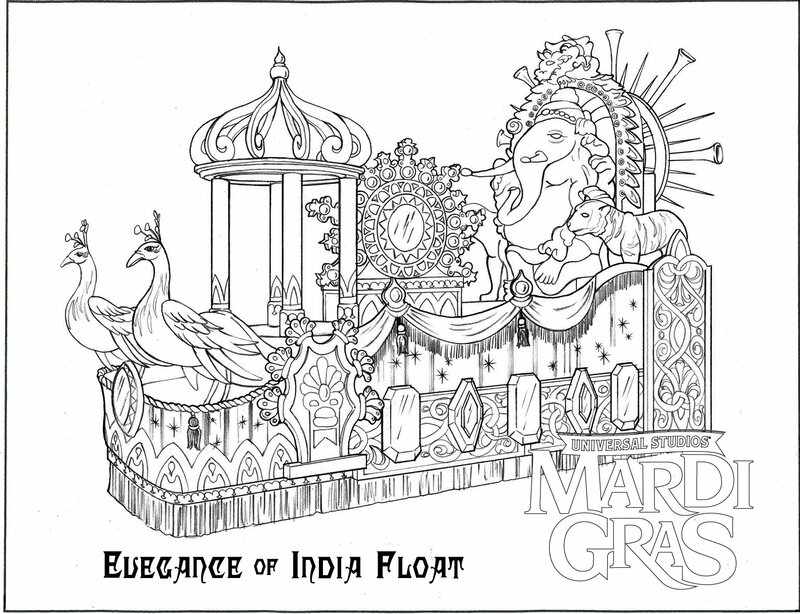 Downloadable Coloring Pages-This year Universal Orlando has included special downloadable coloring pages for kids. 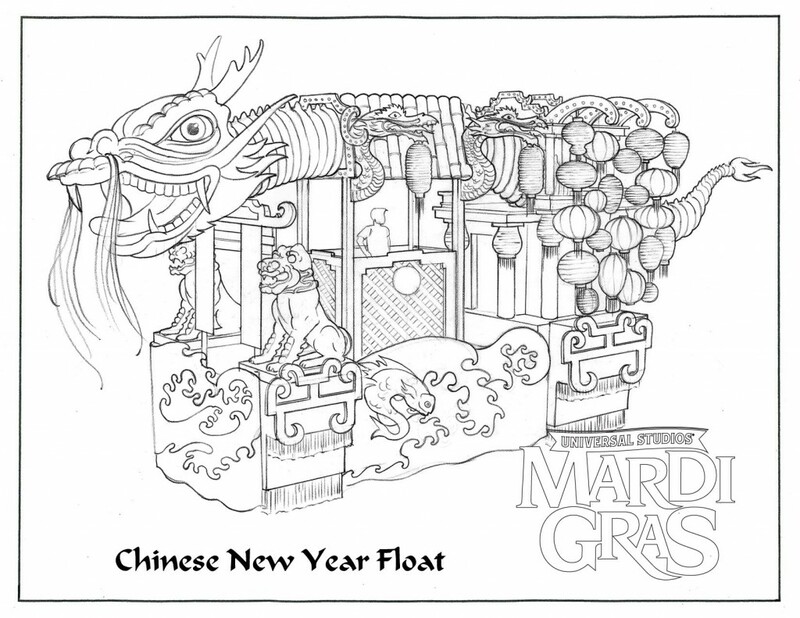 The pages feature concept art of their all new floats, see the smaller images below and click them to be taken to the official page to print out and color! 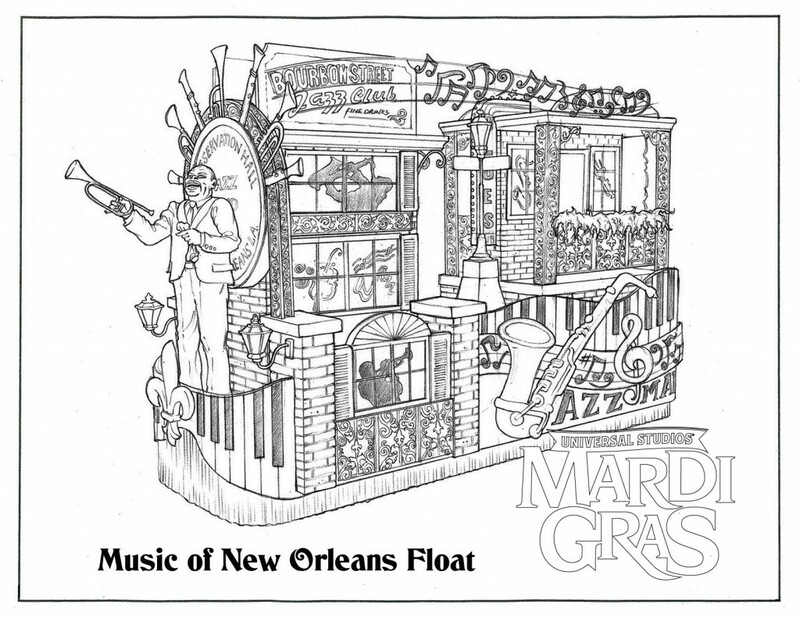 A New Orleans Jazz club on Bourbon Street, with tons of horns and Louis Armstrong will be featured on the new float. Click the picture for the printable version! The Chinese New Year will depict the traditional Chinese symbols such as the Dragon! Click the image for the printable version! 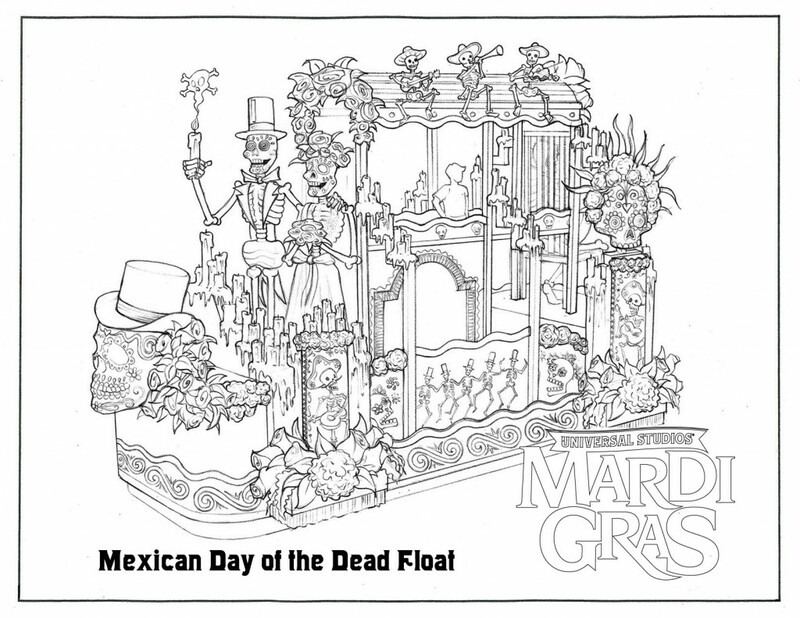 Mexico’s Day of the Dead will feature skeletons, Mariachi and more! Click the image for the printable version! Elegance of India will feature Elephants, Tigers and more! Click the Picture for the printable version! With the great food, the music and of course the all new parade floats, Mardi Gras at Universal Orlando is perfect for pretty much any age, whether you’re a little Jester or the King of the parade! For more information on Mardi Gras at Universal Orlando, including tickets and concert lineup, visit the official website! 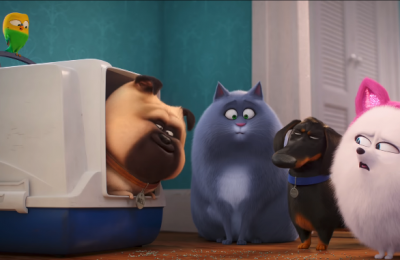 Celebrate National Pets Day with the new Secret Life of Pets trailer!